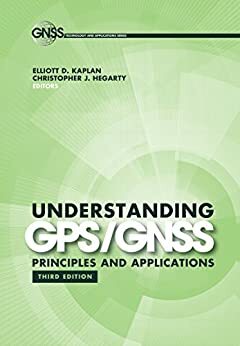 This thoroughly updated third edition of an Artech House bestseller brings together a team of leading experts providing a current and comprehensive treatment of the Global Navigation Satellite System (GNSS) that readers won t find in other resources. Packed with brand new material, this third edition includes new chapters on the system engineering details of GPS, GLONASS, Galileo, Beidou (BDS), and regional systems, such as the Quasi Zenith Satellite System (QZSS) and Navigation with Indian Constellation (NavIC). Readers also find new coverage of GNSS receivers, disruptions, errors, stand-alone GNSS performance, and differential and precise point positioning. This single-source reference provides both a quick overview of GNSS essentials and an in-depth treatment of advanced topics and explores all the latest advances in technology, applications, and systems. Readers are guided in the development of new applications and on how to evaluate their performance. It explains all the differential GNSS services available to help decide which is best for a particular application. The book discusses the integration of GNSS with other sensors and network assistance. Readers learn how to build GNSS receivers and integrate them into navigational and communications equipment. Moreover, this unique volume helps determine how technology is affecting the marketplace and where best to invest in a company s resources.